RCon Command from the server console while you are connected to the server. This is very important. You will need to perform this command from the SERVER console. You will need to be connected to the server before you try and perform this command. If you do not have access to your server console (you rent your server from a 3rd party) you will need to use one of the other methods. RCon Command from the server console while you are not connected to the server. This is very important. You will need to perform this command from the SERVER console. For this method you do not need to be connected to the server at the time of running this command. You will need to know your STEAM_ID. If you do not know your STEAM_ID, connect to any multiplayer server and type status into your console. If you do not have access to your server console (you rent your server from a 3rd party) you will need to use one of the other methods. If you do not have access to your server console at all or the RCon password. 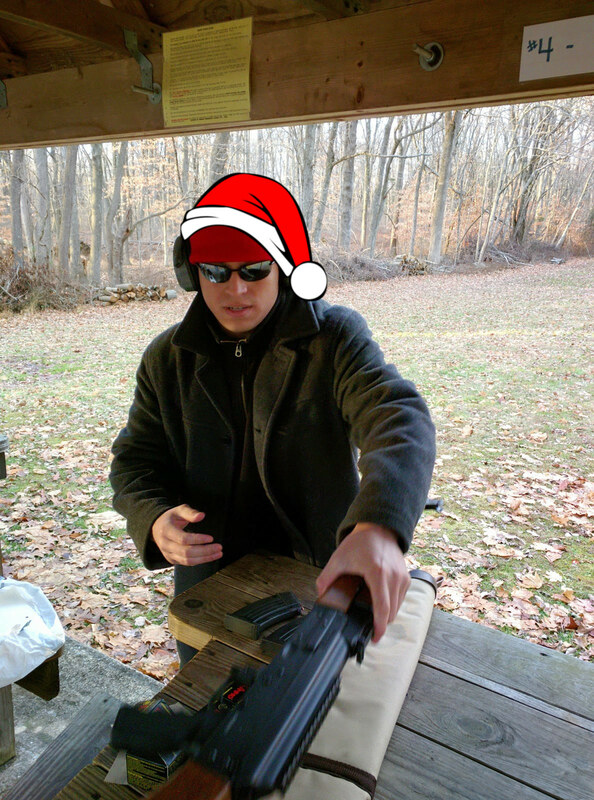 This method is a little more complicated than running the console command. It will involve you editing a default garry's mod file. 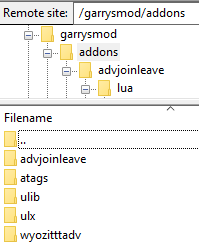 ULX by default will pull admins from the default garry's mod file as well as its own files. 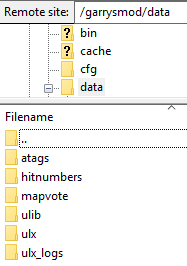 Inside of the users.txt file find the section for 'superadmin' and you should see garry listed there. Don't worry he is commented out by default. 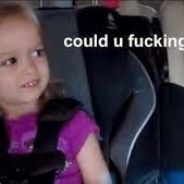 Replace his name and Steam_ID with your own and remove the // from in front of the name. This will uncomment out the entry and allow it to take effect. Once you have done this, restart your server and connect. Then use your server console to add yourself back to superadmin. Not game console, server console. If all else fails, see our FAQ for resetting to factory defaults and start over. If that doesn't work, ask for help in the general help section of this forum, not this post. I've ran a ulx-supported server for some time, but I'm coming back after a few months. I'm faced with me being removed from usergroup "owner" (inherits "superadmin") and added to "superadmin" upon a Server Console restart (NFO). Curious where I'm missing? I would create a new thread, but this is the most directly relating post. Edit: putting emotions aside. Although I may consider it, I'm still interested in knowing why the original issue is coming up. I'm still interested in knowing why the original issue is coming up. If you are truly adding yourself to superadmin using server console, OR editing files ONLY while the server is OFF, and, are only listed in ONE group (owner) when editing files manually, then you have a conflicting addon or gamemode that's changing your access. ULX won't move you in any automatic way against your wishes unless you've edited files incorrectly and/or are in two groups. You keep mentioning 'owner' - Gmod has no owner group, I'd suggest starting with disabling FAdmin (we have another FAQ for that). If that doesn't fix it, start looking to see if you have autopromote and/or protection scripts. going thru my addons now, and the transferred /data/ i uploaded for user groups (which may be the issues), but i may need to cut back a bit more vanilla. I've removed "owner" but will continue testing. Although I have used autopromote in the passed, I don't have it installed at this moment. i'll keep hunting. thank you. it's odd because, without the owner group, on server restat from server console, the i get added to superadmin. at first i thought there was a conflict somewhere, but now it seems that when restart is run, the adduser <something> is run. i'll keep searching. UPDATE: after hunting for hours. I concluded that the addons weren't the issue because I literally wiped my entire server was cleaned. But on reboot, the server would run the command. Turns out, I entered this as a forced command upon reboot, and then minimized the section in the control panel.